Power plans help you manage the power settings and usage of the battery and in general power of the system. There are 3 custom power plans – Power Saver, Balanced, and High Performance. You could customize these plans or simply make your own. Personally, I decide my power options (brightness, what happens on putting down the lid, etc) by myself, but for general users, choosing one of the 3 power plans is better. 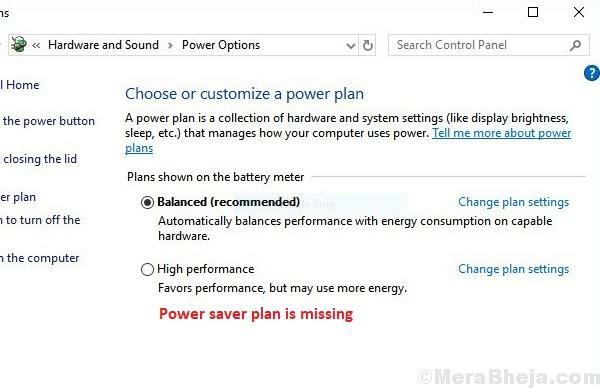 However, at times, users report that the power plans (either one, two, or all) are missing. A few of the known causes for this issue are: corruption in the system, malware and virus, an incorrect Windows update which fumbled up the settings of the system. 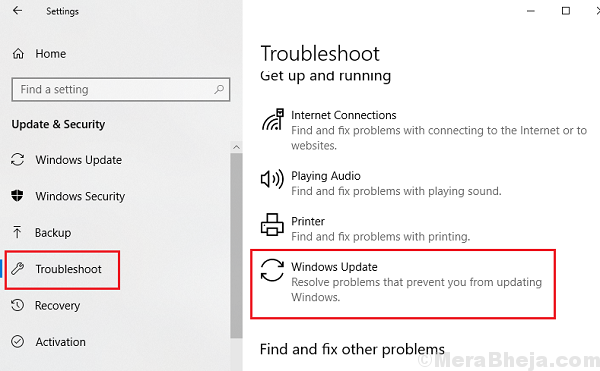 Since the primary cause behind the problem is a Windows update gone wrong, we could try updating Windows just in case microsoft pushed the fix. Here’s the procedure to update Windows. This issue could also be caused by malware and virus. Thus, run a full anti-virus scan on your system to isolate this possibility. The Hardware and devices troubleshooter could fix issues related to the power options, especially in a battery-operated laptop. 3] Select the Hardware and devices troubleshooter and then run it. 1] Shut down/Power off the system. 2] Unplug the charging cable and disconnect the battery from the system, thus making sure it has no source of power connected to it. 3] Press the Power button for 20 seconds. This will discharge the residue charge in the laptop’s capacitors. 4] Now connect back the the battery/charging cable. 5] Boot the system and check if it resolves the issue. 3] Restart the system and check if it helps with the issue.